Permanent adhesive holds materials securely in place. Ideal for paper, cardboard and photos. Permanent adhesive securely fastens paper, cardboard, photographs and more for great crafting, scrapbooking and other projects. Simply lift the cap and twist the base for easy application. 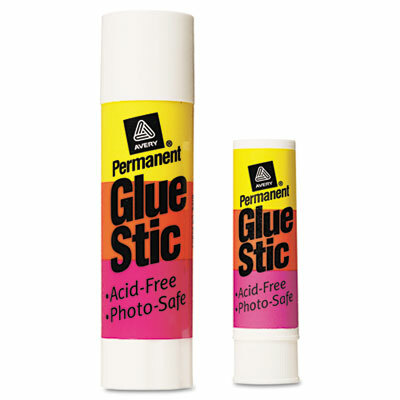 Photo-safe formula is acid-free and won't harm precious materials. Dries clear and wrinkle free. Plus, it washes easily out of clothes.